Mr Michel VIELLARD, you are one of the French members of the Henokiens Association. Could you please introduce yourself to our readers? > Michel VIELLARD : My position as a Henokien leads me to introduce myself as an heir responsible for the continuity of an industrial and family adventure, which is several hundred years old. It started in Lepuy Gy in Mazarin's time and has continued, since 1796, a few kilometres from there in the same Territoire de Belfort area, in the villages of Morvillars and Grandvillars. I graduated from the École Centrale engineering school and after my military service in Algeria, I joined the company in 1960. I was chairman from 1991 to 1998. My cousin Christophe, who led the development of our fishing activity, replaced me since that time. Can you present your company and its activities? > M.V.  : Viellard & Migeon Cie, like any other company, has a legacy and traditions that continue living in the present. This industrial and family company which started in forging and wire drawing has diversified its activities over the centuries and was able, during the last 30 years, to transform itself into a financial holding which then reinvested to different degrees in its original activities. Alongside real estate and property management, the nuts and bolts activity started in 1827 in the Grandvillars wireworks plant. It is currently represented by a direct and indirect share of 23% in the LISI group, specialized in the manufacturing of fasteners for the automotive and aeronautics industries, listed on the Paris Stock Exchange and employing over 11000 people world-wide. The fish hook production activity was born in 1910 and is currently represented by a share of 30% in the Rapala-VMC group, listed on the Helsinki Stock Exchange, employing over 3000 people world-wide. The welding electrodes activity was born in 1950 and gave birth to FSH WELDING GROUP, a 95% owned subsidiary of VMC, employing about 200 people and specialized in the manufacturing of welding consumables. The company's capital is divided into 206,300 shares, which are still directly and indirectly owned by 150 shareholders, descendants of our ancestors, Laure Migeon and Juvénal Viellard. What have been the outstanding events for your company in recent years? > M.V. : The outstanding events lie in the tradition or in a revival of "the original trades" in a current and modern financial way. To me, sophisticated systems don't make the most efficient decisions: it is the sense of the past, and through this past, that we can have a certain vision of the future. A family company has to know how to face change and its past helps it to distinguish between permanent aspects and those linked to the present economic climate. Our family and company's history is my diagnostic tool. The outstanding events in my industrial life are in keeping with what I said before, to have systematically cut out the activities and products accumulated along the centuries that weren't profitable to financially refocus our interests on our trades of origin that is to say bolting and welding and sports fishing. Could you say a few words about your major projects in the middle or long term? > M.V. : I don't intend to change my strategy at all and my board shares my point of view: we have to carry on backing up our positioning in our trades of origin and developing our welding activity in order to give it a more significant size in this industry of giants. How can you explain the longevity of your company? > M.V. 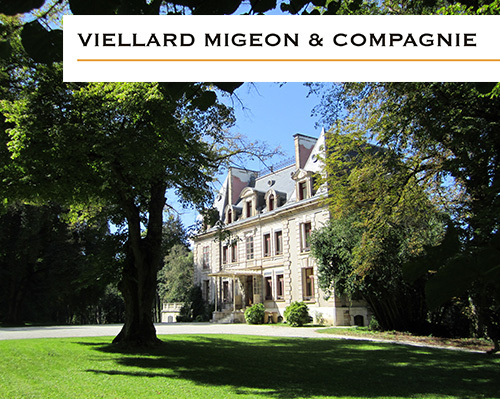 : Viellard Migeon still draws its strength from its family shareholders, its staff's faithfulness, its profits, the trust of its bankers and from growth and history. Each tradition is engraved in the past but continues to live on in the present. Just like Economics, History is a discipline. Could you say that this extraordinary longevity is an asset in your relations with your customer? > M.V. : Yes, it is. Longevity is very feminine and attractive when it knows how to stay young! Do the traditional values guiding the firm constitute an advantage as regards research and innovation? > M.V. : That's a big issue in which every company is interested. Whatever its traditional values might be, the speed at which an industrial company grows is closely related to its research and innovation skills. In the 19th century we went through times such as these. It's when markets and profits tighten up that crises appear and that growth through research, innovation and creativity emerges again. So perhaps our company has generally drawn this innovative strength from its staff's traditional values, especially their skills and faithfulness. I have a few examples and the one that immediately comes to mind is Mr Roger Billet who joined the company when he was 16, and 40 years later revolutionised fish hook manufacturing and designed automatic machines which enabled an outstanding upturn of the activity. What are the major traps that your company must avoid in order to preserve its independence? > M.V. : Keeping your independence means being able to financially control your company. The attacks or dangers you call traps can come from outside or inside the company. We have had some family managers who were passionate about the technical activity, disregarding management, and whose physical and mental energy was completely devoted to machines and manufacturing. It is difficult for such men to manage the growth they have generated in the first place. It is difficult for such men to manage the growth they have generated in the first place. When there isn't enough capital, when the absence of a suitable accounting system makes control difficult, managers are snowed under with responsibilities they never wished for… If the bankers fail to support the company, then only the family or family shareholders can ensure the means for recovery. So, the answer to your question has become clearer: to keep its independence, a company has to avoid the trap of loosing its shareholders' trust and consequently, as is the case with us, maintain a very good relationship with the family! Has the determination of your family to keep its independence required over the centuries that difficult choices be made? > M.V. : The company has been through wars, revolutions and numerous crises. I'll talk about the three main ones. The first one was very serious and came after the successive devaluations of the French Franc from 1922 to 1926, when the company had decided to become heavily involved in hydraulic electricity production and to build a dam and a 6 kilometre pressure pipeline through the mountain, above the town of Saint-Hippolyte, in the Doubs area of France. The nationalisation that followed hastened the financial catastrophe and led the company to fall into debt for the first time in its history! Viellard and Migeon took out a 25 million franc bank loan, compelling the shareholders to boost the capital by 4.5 million in 1935. The second one took place in 1950. In order to get out of serious post-war difficulties, the family associates agreed to freeze over 25 million francs in a blocked savings account…millions they never recovered, lost with the successive devaluations our country unfortunately went through. The third one is more recent. It took place between 1987 and 1990 when the shareholders were divided over the opportunity to sell the company to an external buyer, which was fortunately but painfully turned down. Is the transmission of the firm to a family member governed by clearly defined rules? > M.V. : In the family, we are not necessarily looking for the man in a million but applicants who have real abilities rather than brainless holders of diplomas lacking will power. It requires a natural authority, a gift to work with other people in a courteous atmosphere and an ability to obtain tangible and positive results. And last but not least, these leaders' personal and moral qualities, placed in the service of the family and the company, must be in conformity with the highest standards of ethical and legal behaviour in each of their internal, external and family communications as well as in their business practices. Is the new generation already working in the firm? > M.V. : Yes it still is and has always been! My son Emmanuel is 50 years old and he is General Manager of VMC. He is also Vice President of the Lisi Group and President of the Rapala-VMC Group. My nephew Cyrille, after 12 years of operations in India, Germany and Spain in a large worldwide group, joined our company last September at the age of 36. Do you have a message for those who would like to start their own family business? > M.V. : I don't know if I am able to give such advice since I have spent more time maintaining and developing Viellard Migeon than creating new businesses. However, I think I owe my success to my ability to stand firm. I don't easily give up. It's also a quality we willingly attribute to the British. As they say "When there is a will, there is a way!"